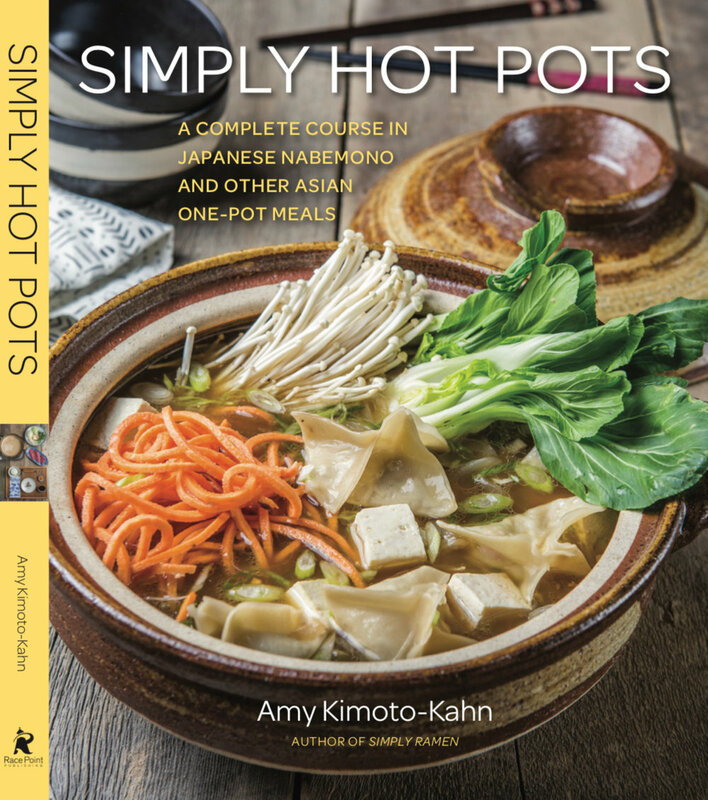 I thought I'd post this recipe because it's basic, it's easy and I want people to know that authentic Japanese Teriyaki Sauce does NOT contain any thickener like cornstarch or honey. You can make a double batch of this and refrigerate it, then use it when you need it. I don't think it really expires but I guess I'd say use it within a year? It's great to marinade or use as a sauce for beef, chicken, fish, you name it. Here it is...just like my mom used to make! Combine all ingredients except for mirin in a medium saucepan and bring to a hard boil. Watch closely or it will boil over. 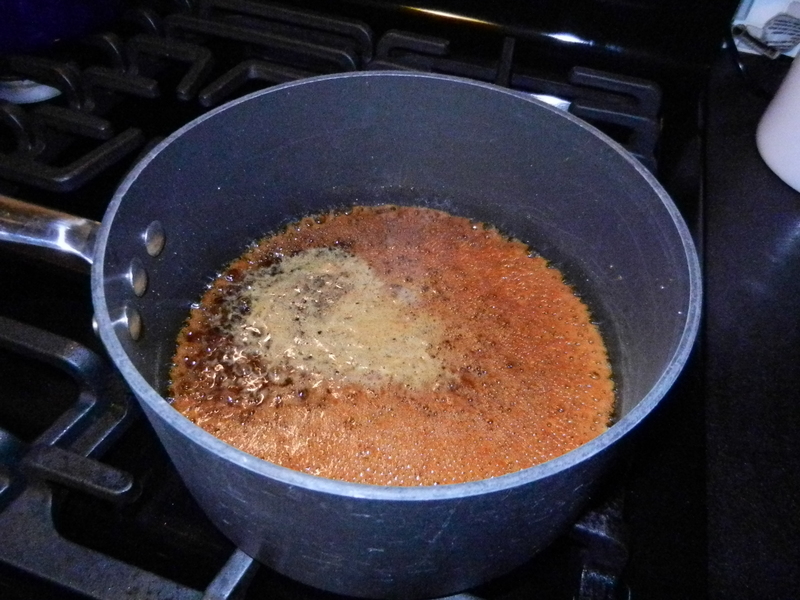 As soon as it comes to a boil, reduce heat to low, and add mirin. If you add the mirin before the boil, it will reduce too much because it contains a small amount of wine. Mix in and remove from heat. Sauce will be fairly thin but will thicken after being refrigerated. Refrigerate extra in a jar for use whenever you need it and re-heat in the microwave or over the stove. 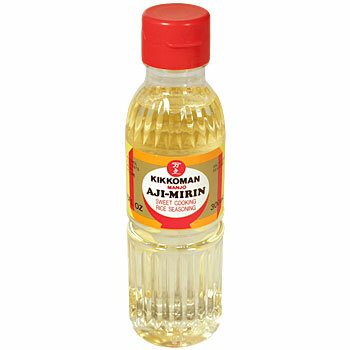 Mirin (味醂、みりん) – Preferred Brand – Kikkoman. Sweetened rice wine. Used to make teriyaki sauce and for marinades and dressing in replacement of sugar. Although this does contain low amounts of alcohol, it is safe for use in children’s dishes as there is normally a very small amount added. 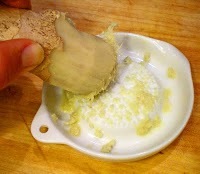 Peel the end of a fresh piece of ginger and use a Japanese grater or a microplane to grate the ginger. You can purchase a Japanese grater online or at most Japanese grocery stores. If you don't have one, a microplane works just as well. Tip: You can also freeze ginger and both peel it and grate it frozen so that you always have it on hand!